The Czech lighting manufacturer Robe Lighting celebrates his 25th anniversary with an impressive light show. As every year, the crowd is huge and space is tight. 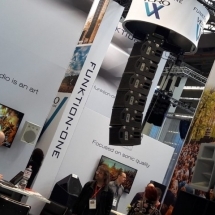 See for yourself in Hall 12.1 at Prolight + Sound. After a tour through the halls simply chill out for a round? That goes really well in Hall 8.0. 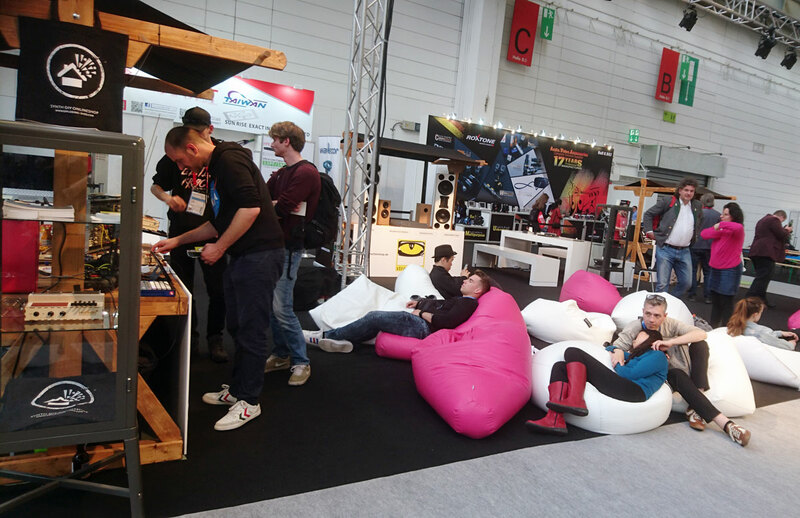 Between audio technology and musical instruments, you can also relax and recharge your batteries for the next highlights. A keyboard at the Prolight + Sound? This is not just a keyboard: Each key on the CME Xkey Air 25 can be assigned its own Midi command. The clue: The required "Xkey Plus" software is available free of charge. 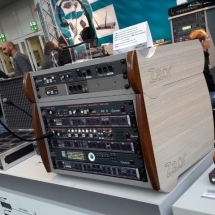 Eddy Khochaba, Product Manager at Hyperactive Audiotechnik, tells us more in an interview. 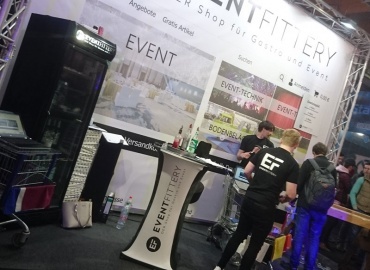 If you want to see the keyboard live, you can do so in Hall 8.0 Stand K30. The Live Sound Arenas have a new location and are still a magnet for visitors. 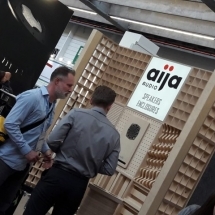 In front of Hall 8 and Hall 12, audio lovers can listen to the latest PA and sound systems. In bright sunshine, just the right thing after an exciting visit of the new halls. 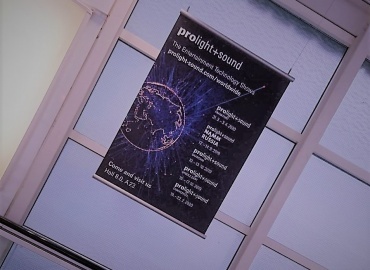 Premieres for the new Hall 12 at Prolight + Sound. 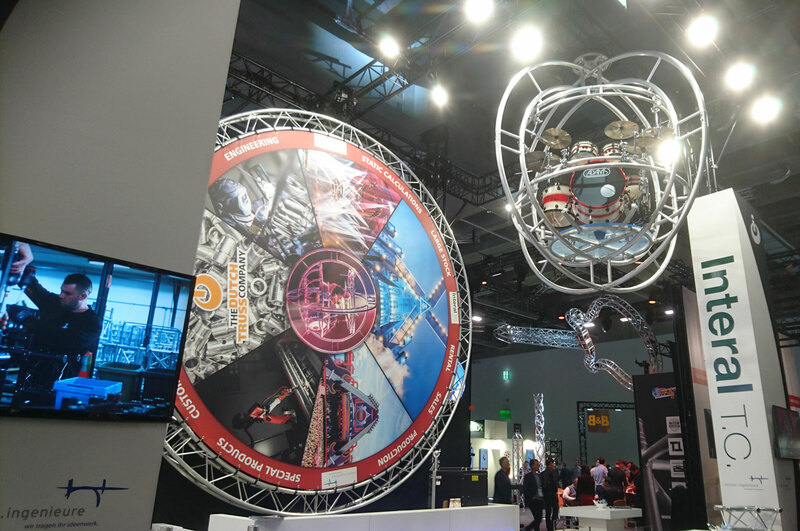 The first impressions of the modern exhibition hall make you want more. 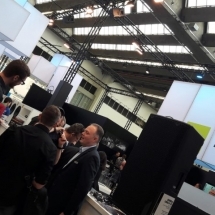 This year, audio technology can be found in Hall 8.0, where visitors can also try it out for themselves: For example on an electronic drum kit. 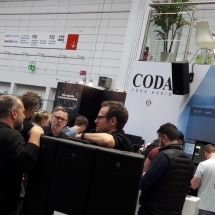 At Prolight + Sound 2018 HD Ledshine presented the world's largest mobile screen for the first time. This year they are doubling the view. The two mega screens are coupled and can be admired on the Agora. A real eye-catcher! In an interview last year, founder Tony Winter talked about building a second screen. 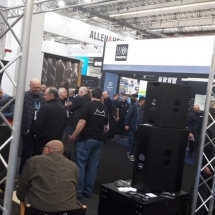 The gong sounded from the loudspeakers punctually at 10 a.m. and Prolight + Sound 2019 opened its doors to trade visitors. 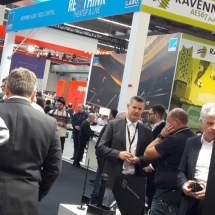 Anniversaries, new products and news from the event and event industry will be the topics of discussion for industry experts over the next few days. Join discover which trends will determine the future!